Welcome to "Serving the 71st with Mike Boland". My name is Mike Huntoon, I work in Representative Boland's District Legislative Office as his Chief of Staff, and I'll be the "virtual host" for this blog. My staff and I endeavor very hard to bring real meaning to the words "public service", and we are quite proud of the wide range of services we provide for Representative Boland's constituents. I've created this blog as yet another form of outreach to the community we live in and serve. Not only can we document some of the good we are able to accomplish, but perhaps we can also use this forum/medium as a form of outreach, to inform people of the services we provide from Mike Boland's office. I welcome constructive comments and suggestions, and even constructive criticism, however I will not allow this blog to become an overtly politicized place where discussions are about personal feuds or even political feuds. The 71st District of Illinois is a wonderfully diverse place full of interesting and inspiring individuals, so I believe there's plenty of positives to discuss. I hope you feel welcome to join me here again, to live and learn with me, as I go about "Serving the 71st with Mike Boland". 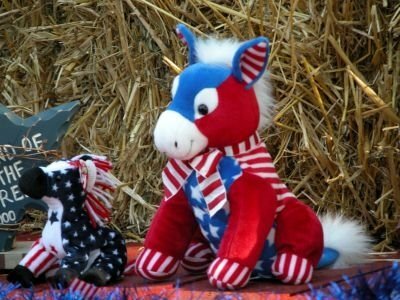 The picture associated with this post comes from the 2006 Carroll County 4th of July float.